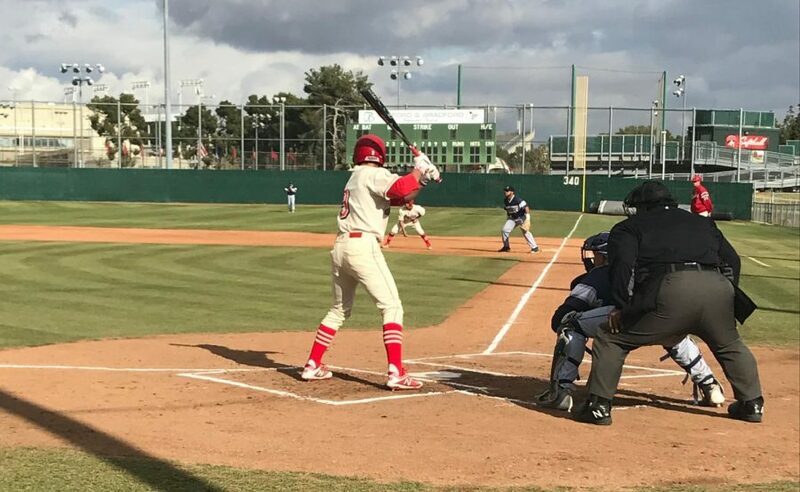 Tim Billingsley getting ready to swing past the fence in their game against LA Mission College. The BC baseball team had a strong battle against LA Mission on Feb. 22, but unfortunately it wasn’t enough to take the win, and the Renegades lost by a score of 10-9. In the beginning the Renegades were falling behind, but they started to make a comeback with a 9-1 in the second ending. Followed with one run in the second, four home runs in the seventh, and three in the ninth only to lose at the end. Zach Williams was 3-4 with an RBI and a run scored, Colby Freeman was 1-2 with 2 RBI. Victory seemed possible, when Brycin Hernandez had scored. But in the end, pitcher Chris Diaz got the loss. Frankie Villasenor, the reliever, came in strong with his pitching of 5.1 innings with only on run on six hits. The team will have another chance to take the win when the play against LA Mission once again at the next home game on March 20.